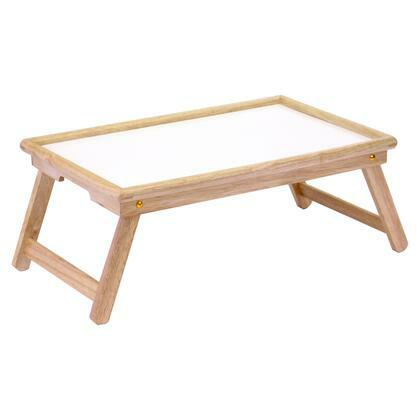 Overall Bed Tray set up size is 24.66"Wide x 14"Deep x 9.22"High to 12.70" with flip top prop. 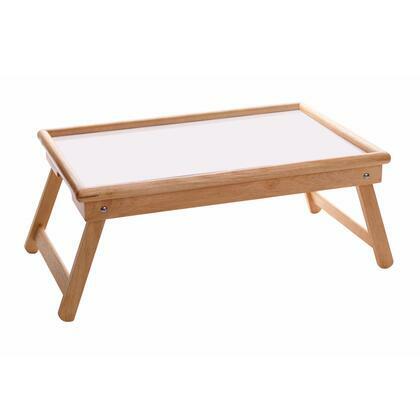 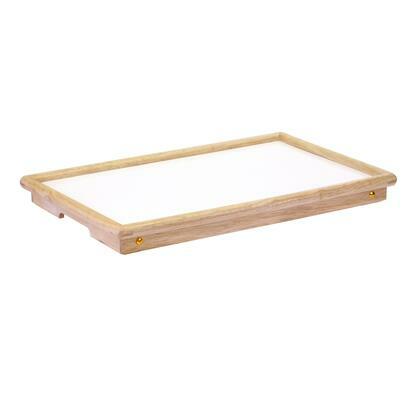 Bed Tray Storage folded size is 21.80"W x 13.90"D x 2.10"H. Two cut out side handles. 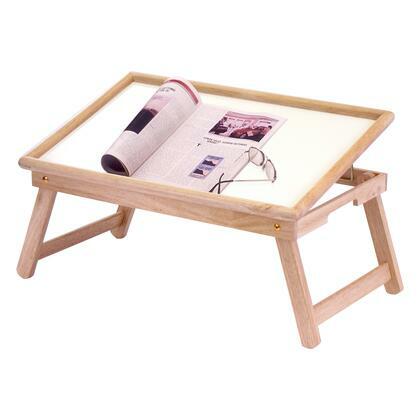 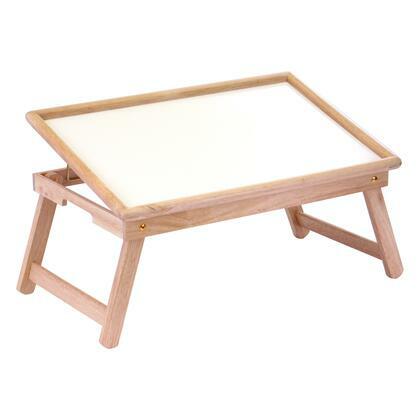 Made from solid/composite wood with melamine white top.